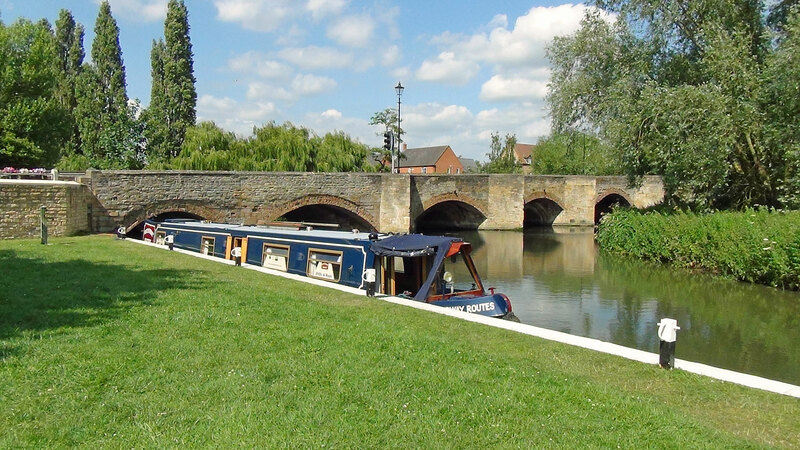 Another stunning day of sunshine saw us cruising down the River Nene to Thrapston. Ditchford Lock’s Radial Gate on the River Nene. 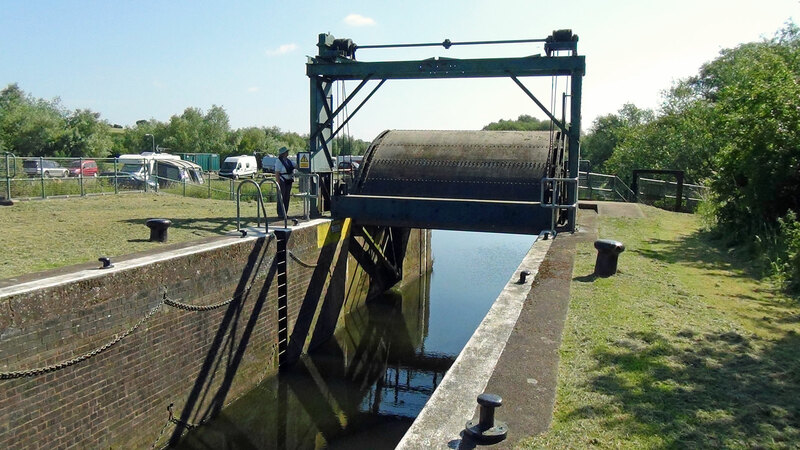 One of our first challenges was the Radial Gate on Ditchford Lock. This is power operated, like most of the guillotine gates, so little effort was required. 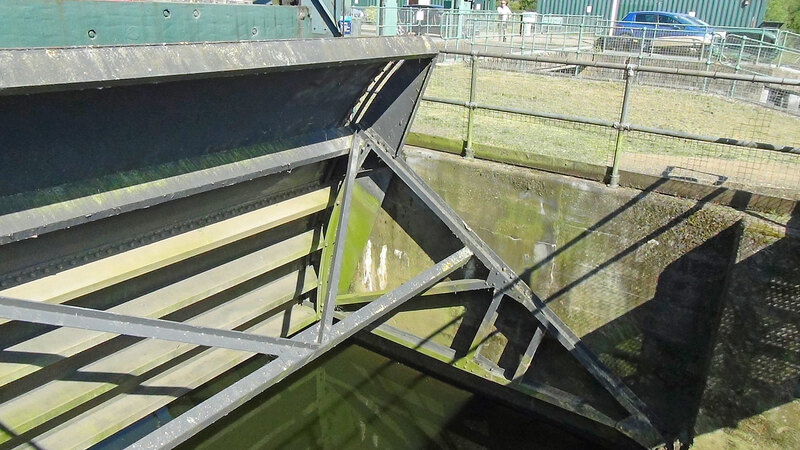 The Radial Gate at Ditchford Lock on the River Nene. The gate is pivoted from below, and rotates up and over boats. Old Station Road Bridge at Irthlingborough. Looking back at Old Station Road Bridge at Irthlingborough after passing through the narrow navigable arch. Upper Ringstead Lock’s manual winding wheel. 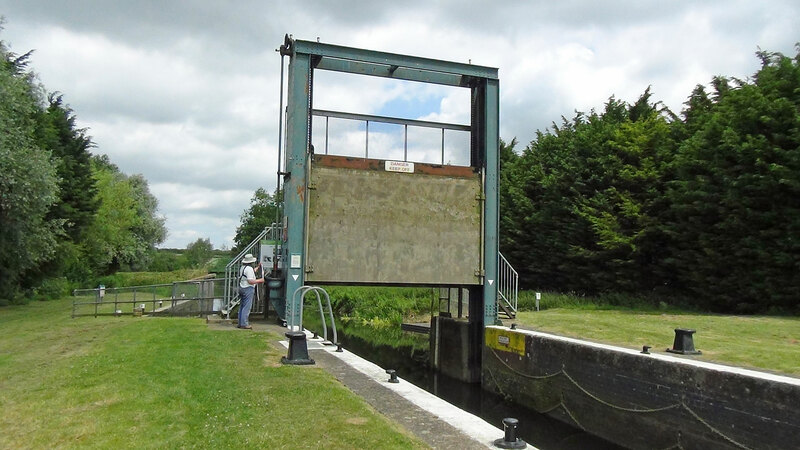 Challenges for the crew continued with Upper Ringstead’s manually operated guillotine gate which required many turns of the wheel to close it before we could fill the lock, and just as many to open it as we went down. Woodford was just one of many attractive churches we passed along the way. Our travels finished for the day at Thrapston, above Kettering Road Bridge. 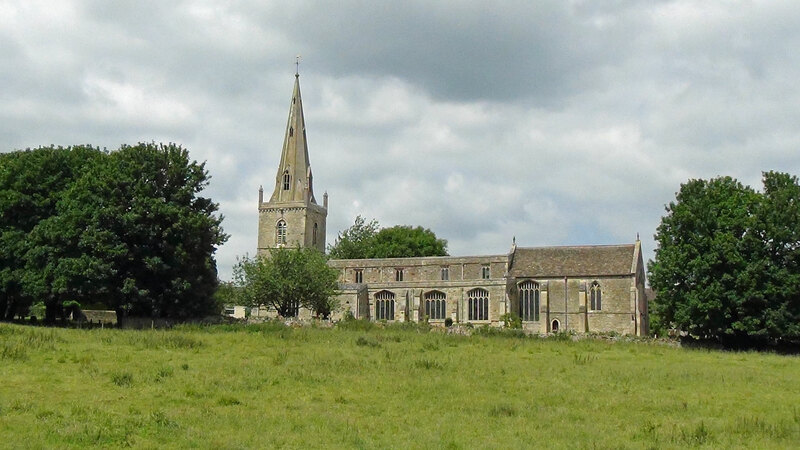 Tomorrow (Sunday) we should reach Fotheringhay and, perhaps, Peterborough on Monday. 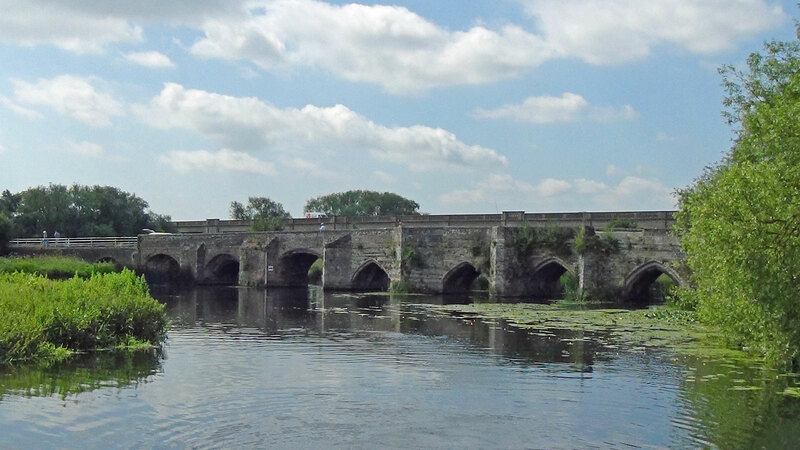 This entry was posted in Our Travels, River Nene by Paul. Bookmark the permalink.